Bitcoin zoomed past $11,000 (£8,185.5) to hit a record high for the sixth day in a row on Wednesday after gaining more than $1,000 in just 12 hours, stoking concerns that a rapidly swelling bubble could be set to burst in spectacular fashion. After soaring more than 1,000 percent since the start of the year, bitcoin rose as much as 15 percent on Wednesday, but by mid-afternoon in New York, the virtual currency was trading at $9,500, down 3.7 percent on the day on Luxembourg-based Bitstamp BTC=BTSP, one of the largest and most liquid cryptocurrency exchanges. “As many seasoned traders know all too well, anything that rockets higher, tends to fall down faster when the time comes, and the time will come,” James Hughes, chief market analyst at FX broker AxiTrader, said. Bitcoin topped $10,000 for the first time in early Asia trading, before surging above $11,000 less than 12 hours later to reach $11,395. Bitcoin’s rapid ascent has led to countless warnings that it has reached bubble territory. But the warnings have had little effect, with dozens of new crypto-hedge funds entering the market and retail investors piling in. London-based Blockchain.info, one of the biggest global bitcoin wallet-providers, told Reuters on Wednesday that it had added a record number of new users on Tuesday, with more than 100,000 customers signing up, taking the total number to more than 19 million. 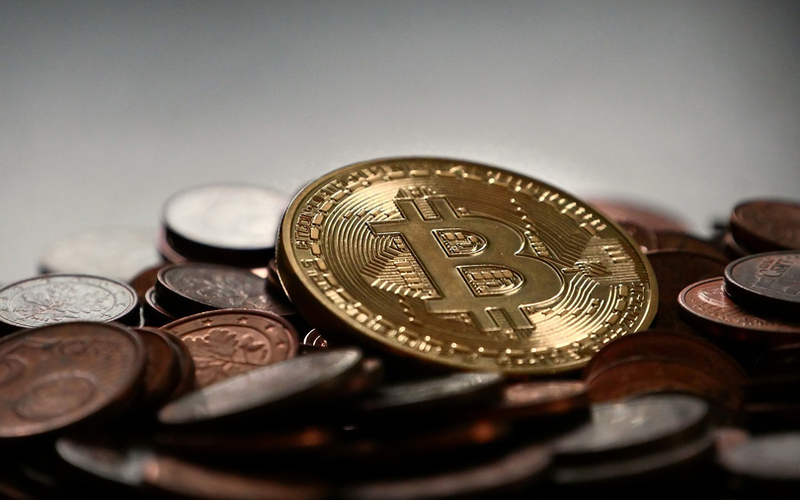 “What’s happening right now has nothing to do with bitcoin’s functionality as a currency – this is pure mania that’s taken hold,” said Garrick Hileman, a research fellow at the University of Cambridge’s Judge Business School. “There’s always the possibility that some fundamental cryptographic flaw that we can’t solve craters the whole space, or that regulators unite and decide this represents systemic risk and actually could trigger the next financial crisis,” he said. Created in 2008, bitcoin uses encryption and a blockchain database that enables the fast and anonymous transfer of funds outside of a conventional centralised payment system. It has far outstripped gains seen in any traditional asset classes or currencies this year. Its rise accelerated in recent months as exchanges such as the CME Group Inc and the Chicago Board Options Exchange announced plans to offer futures contracts for the cryptocurrency. On Wednesday, a source with knowledge of the matter said Nasdaq Inc plans to launch a futures contract based on bitcoin in 2018. Sceptics say it is a classic speculative bubble with no relation to real financial market activity or the economy - most famously JPMorgan boss Jamie Dimon, who labelled it a “fraud”. But even Dimon and others who say bitcoin represents a bubble - now the consensus view among mainstream investors - do not deny its price rise could still have further to go. In some emerging markets, bitcoin had hit well over $10,000 previously. In South Korean exchanges, too, bitcoin was already close to $11,000 or higher early this week. On Zimbabwe’s local exchange golix.com bitcoin touched a new high of $18,500 on Wednesday before retreating to $18,000.